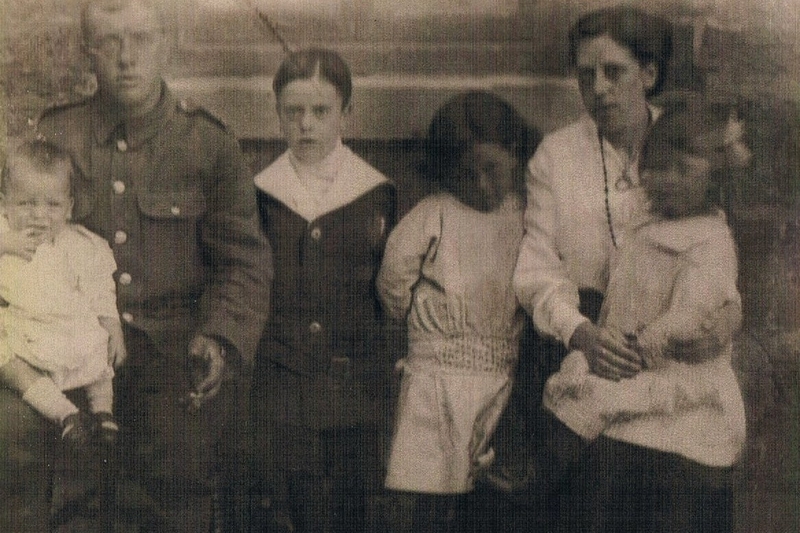 William Shepherd (1887 to 1917) with his family. See note below. Photo courtesy of June and Mel Shepherd. L to R William Shepherd b.1916, William Shepherd b.1887- d.1917, Albert Shepherd b.1910, Emma Shepherd b.1912, Annie Amelia Shepherd (nee Johnson) later was Lindley 1889, and Eliza Ann Shepherd.